Life is busy. Hard. Chaotic. Frustrating. Overwhelming. When I feel get stuck in the busy-ness, I often kick into survival mode. Just getting through the day, the week, the month. Before I know it, time has slipped away and I wonder where it went. During these times, it’s easy to let things go. Important things. Many times,the first thing we let go is time with God. Our Bible is little more than a dust catcher on a table. Our thoughts rarely turn to Him. Then, we suddenly need Sunday morning to play catch up around the house…. or to finally take a moment to sleep in and rest. Next thing you know, your relationship with Him consists of hardly more than a verbal acknowledgement that He is Lord. In order to experience a true relationship with Him, to experience His power in our lives, to feel His presence in our hearts, we must be willing to draw to Him. And that means spending time with Him, praying with Him, reading His word, and, yes, even serving Him. Today, take some time to reflect on your life. And your relationship with Him. The Bible is filled with promises. Do you believe them? Do you believe God can and will do what He says? Where does He truly stand in your list of priorities? 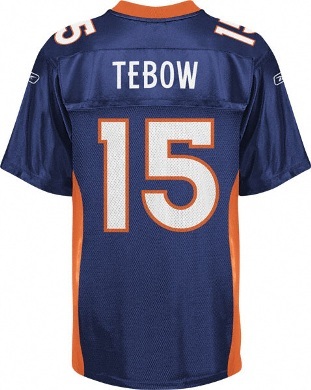 What keeps you from moving Him to the top of the list where He belongs…. and keeping Him there? Believe it or not, even in the midst of trials and chaos, you can have comfort and peace. But a real relationship with Him is required. You must be thirsty for Him. You must long for Him. 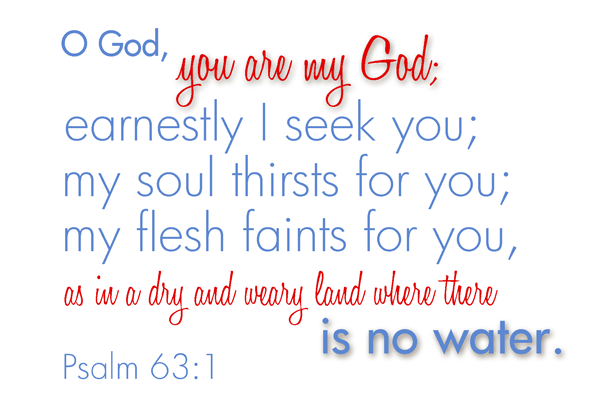 Seek Him with your whole heart, your mind, and your spirit. Commit your time and your life to Him. So many things about God are a complete mystery. The choices He makes…. in His time, not ours. 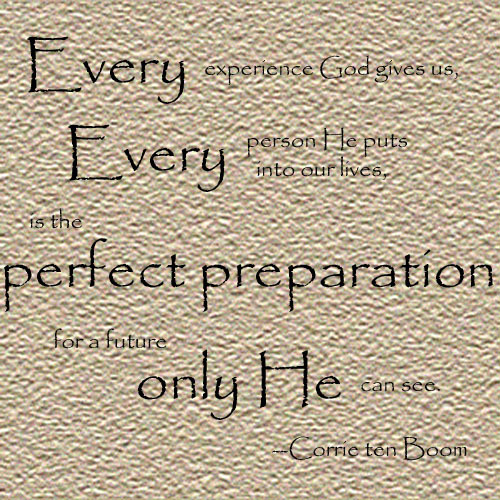 His will and plan oft times confuse us to our very core because it simply makes little sense to us. After all, if He would just listen to us, let us tell Him what we need, when we need it, everything would be a bed of roses, right?! God is like a breeze that blows in. You may not see where He comes from, but there is no mistaking He is there. His timing IS always perfect. So why, is this perfect timing often so frustrating? When times are hard and you feel like you cannot endure, the knowledge that just one word from Him could completely turn your circumstances around and solve all your troubles……..yet He doesn’t move?? Frustrating! God is completely unpredictable. He is not a fast food restaurant where you can order what you want and have it ‘your way’. You can’t just say a prayer, ordering your needs or desires, and He delivers in less than thirty minutes. This is so hard for us to accept and embrace when we are in the midst of trying times, heartache, and sorrow. We cry out to Him for help, to fix our problems. To rush in and rescue us. When He is silent, our hearts wonder, “Why?”. When we want so desperately to trust Him, but He seems to be quiet in the midst of our problems, it’s easy for feelings of betrayal to creep in. During these times, it’s important for us to remember the greatness and majesty of our God. As challenging as it is to wait on Him and His timetable for our life, do we have the right to expect Him to be at our beck and call? Who are we to question His ways and His timing? The trials and problems we are faced with just might be part of His plan to teach us a lesson along the way. Maybe it’s patience. Faith. Trusting in Him completely. If He jumped in and fixed every situation for us immediately, we might miss out on the big plan He has for us. As much as it hurts in the moment, hardships and trials are opportunities for exponential growth in our relationship with Him. But it begins with trust. We cannot anticipate what God will do next in our lives. We cannot see all He sees. But we know we can rely on His heart. Even in those times we aren’t getting our prayer ‘orders’ filled as quickly as we would like, He is there to comfort us and calm our anxious thoughts. His mercies are new each day. Even when you can’t see His hand at work, keep trusting His heart. 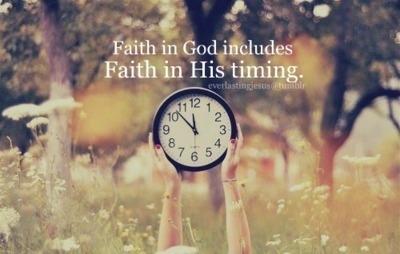 Have faith in His timing. Because it will never fall short of what is best for your life. It’s not over yet! 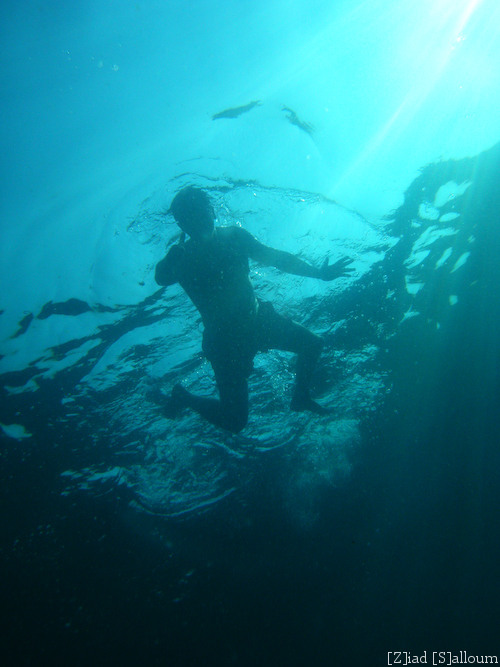 An analogy of an inexpert swimmer who has encountered water that is too deep. Oh, how often I have found myself ‘in over my head’!! It’s a common problem for all of us. Even the Bible had some troubled swimmers. Eve never expected talking to the serpent would lead to the fall of man. Joseph never imagined he would be thrown into a pit when he shared his dream with his brothers. Sometimes we get ourselves into these situations. You volunteer to help the coaches with the team, but you end up being THE coach. You make a bad financial decision and now financially, you’re sinking. Often times, we can look back on the situation and see a decision we could have made differently. We see how we should have known better. Others, we are completely blind-sided. Even with the best of intentions, we can find ourselves drowning in the burdens, cares, and disasters of life. Circumstances can quickly spiral out of control and although we feel our self quickly sinking, we can’t muster the energy, even the breath to call out for help. It’s easy to feel alone. Frozen in fear. Hopeless. Abandoned. During these times, these trials, it’s so important for us to remember the word of God. His promises to His children. 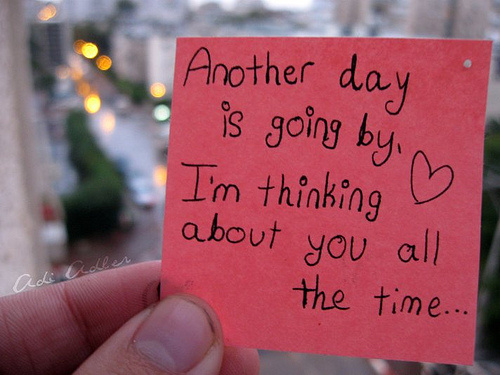 When you’re in over your head, I’ll be there. You are not alone. No matter how far you fall. When you are in rough waters, you will not go down. You will not be given more than you can bear. When you’re between a rock and a hard place, it won’t be a dead end. There is light at the end of the tunnel, be it ever so faint! He will always give you a way out! During the past week. I HAVE felt like I was drowning. The waters of my life have been so rough, that each time I managed a small breath, I was once again overcome by rough waters…. too deep for me to find a foothold. My rock and a hard place was more like a huge boulder and a brick wall…. so large I could not see a hint of daylight. My circumstances and situation have not changed. In fact, as each day passes, I can feel the situation becoming more hopeless. But then, I randomly opened my Bible, and this scripture is what I found. God speaking to me. I am not alone. I will not drown. He is my foothold. He will be my light to find my way out. No dead ends! Satan can take his hopelessness and flee because God is at my side. And He never fails!! Today, I urge you to memorize this scripture. I surely am. What a wonderful promise of God to claim in times of despair! 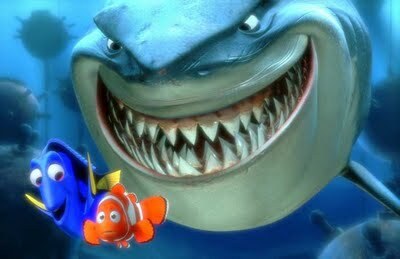 And in the famous words of my friend, Nemo………….. Fear of an uncertain future. A broken home. Financial ruin. Poor health. Loss of a loved one. Loneliness. Anger. Frustration. Failure. Betrayal. Job loss. A broken heart. So many things to bring sorrow and sadness in life. So many things we don’t understand. Sadly, I think most can say we have been through at least one of these life obstacles. No one is exempt from trials in life. The old question often arises, “Why does God allow bad things to happen to good people?” I don’t know the answer to that question. But I do know the only man to walk this earth sinless was burdened with trials. Was it fair that Jesus was persecuted? Ridiculed? Betrayed? 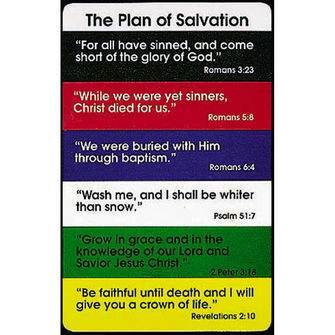 Crucified? Even He was not exempt. We cannot escape times of trial and suffering. The beauty of Christian living is not that we are free from trials, but that we have the Lord God to carry us through them. When you cry out to Him, He is there ready to give you comfort and peace. The Bible tells us that all we need do is cry out to Him and He is there. 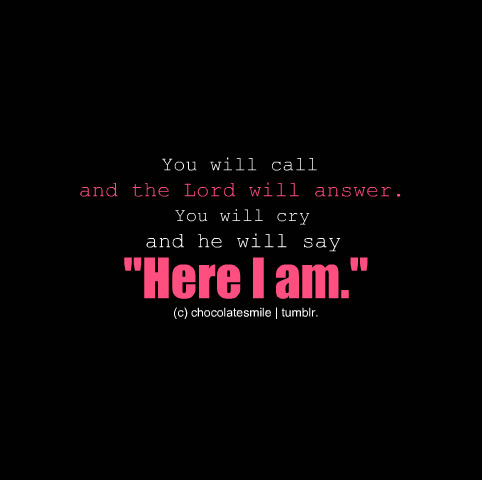 He will answer. The God of the universe, who placed all the stars in the sky. Created the heavens and earth. Is there for us as we cry out to Him. If you are in pain today, if your heart is heavy, if you are loaded with burdens and worry, why not cry out to Him? Pull out your Bible and read God’s promises. Cry out to Him in prayer. He is waiting to hear from you. Let Him carry your load. Let Him ease your troubled heart. Let Him bring you peace that passes understanding. A few months ago, a friend and mentor asked a group of us to write down all that had happened with us over the past year. 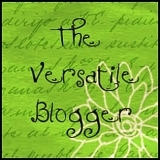 Taking that time to look back and actually put it in writing was a profound moment for me. As you sit and ponder over all you’ve been through, your mind just simply cannot picture it all at once. Seeing it on paper, for me was a major WOW moment. I have determined that at least once a week, I will make a list of things I am thankful for that week. Specific things. Doing so helps me take a bad day, a sorrowful heart, or a worrisome spirit and turn it around. It gives me a new perspective on my life in the moment. It reminds me that although I might feel like I’m in the pits of despair, hope and blessings are still there. And so is the Lord. Somehow, for me, feeling God’s presence through my tears and aching heart, helps me grow closer to Him. He comforts me, loves me, and guides me through the pain. And even through the heartache, I can praise Him. We often get so bogged down in our own worries, or even just the busy-ness of life, we forget to take time to truly praise Him. Worship Him. Spend time in His presence. No matter the circumstances of your life, find time to praise Him. Even in the muck and the mire, He is there. Faithful. Loving. Strong. Protecting. Comforting. 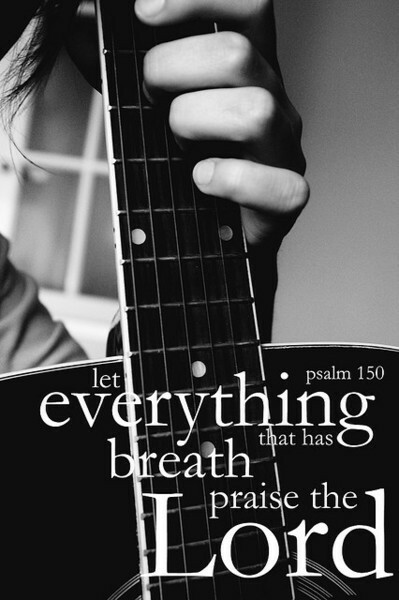 The Bible says that everything that has breath should praise Him. Everything that has breath. Myself, my family, even my dog. Singing praises to Him. Just the picture of it in my head makes me smile. Today, I will give Him all the glory. Today, I will thank Him. And my day will be better because of it! Have you ever had someone you just couldn’t get off your mind? Maybe a crush on a boy or girl in high school. You wasted vast amounts of time writing their name on paper with hearts and swirls? You daydream about the moment that this person realizes you are THE ONE for them and you live happily ever after. You try to focus on schoolwork, spend time with friends, but really all you want to do, all you can do is think about HIM/HER. Maybe you remember those first months of courtship with your spouse. The feeling that you need to spend every waking moment with them. When they are not with you, you feel like something is truly missing. You spend your time thinking about them. Looking forward to seeing them again. Planning that next date, that next moment, and even a future together. What about the expectation of that baby on the way? You long to hold it, to cuddle it, rock it. You spend hours and hours planning the nursery. Reading and learning how to take the absolute best care of that baby to come. You are consumed with thoughts about the baby. Everything revolves around the baby. Or maybe it’s someone who is going through a trial or a tragedy. Somehow it touches you so deeply, you actually hurt for them. You think about what they are going through. How it could be you or your family. You worry about how they are coping. How they are making it. How you could help them. No matter how hard you try, they creep their way back to the forefront of your mind. 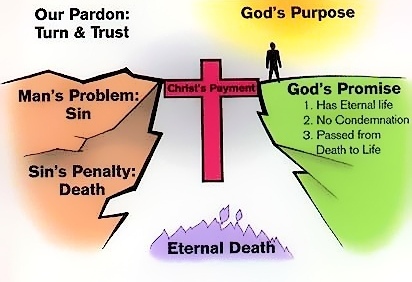 Although I have experienced all of these things at one time or another, it’s nothing compared to God’s thoughts for us. 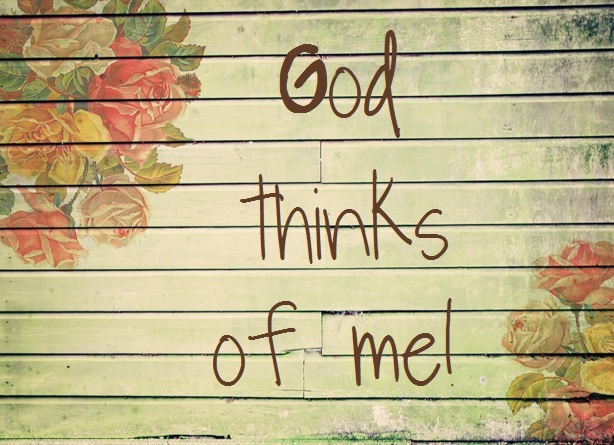 The Bible tells us that He thinks precious thoughts about us. So many they can’t be numbered….even more than the grains of sand. The God of the universe. The creator of the heavens and the earth. Thinks infinite thoughts of ME. He loves me enough to be concerned with me enough to think of me and be with me always. When I really think about the magnitude of this scripture. The reality of its meaning. 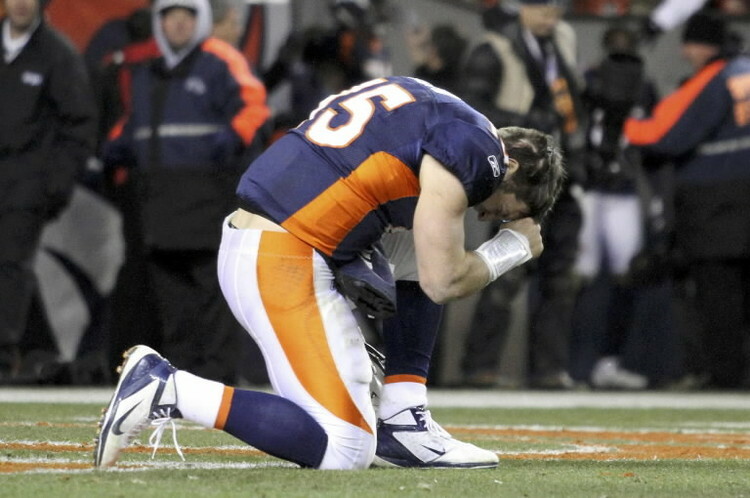 I can’t help but be humbled before God. All those worries I have, all those thoughts I have, each step I take. He is there. When I love Him, He is there. When I grieve Him, He is there. Thinking of me. Knowing the Almighty cares about me enough to think of me over and over and over again, just makes me want to please Him. Serve Him. Love Him. Today, as you go about your day, remember that God is thinking of you. He is there. He is concerned about you. He cares about you. He loves you. With Him by your side, you can handle anything life throws at you!